We have now had six days straight of rain. It started out as intermittent, then became heavy and steady and relentless. Everything feels damp. Before that, we had a heatwave for two days, neither is good for cycling, though as the above picture shows, there are still a few brave souls out in this weather on their bikes. 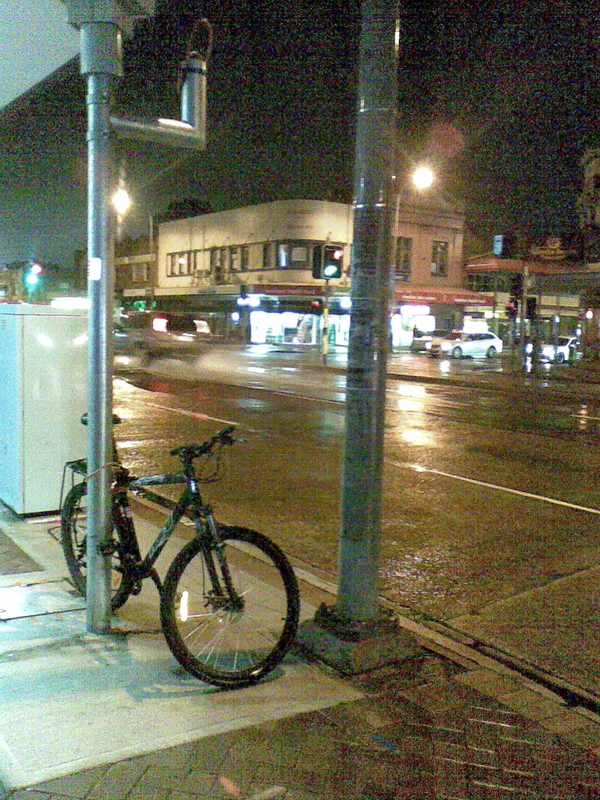 This entry was posted in Wet weather cycling and tagged Beaumont St, hamilton, night riding, rain. Bookmark the permalink. Well, as someone once said, there’s no such thing as bad weather, just bad clothes! Here in Portland OR we are used to days of rain this time of year. But then again, we’re heading towards winter, and a good way to deal with rain when it’s 4-10C out is lots and lots of wool. Can’t really do it the same way when you’re approaching 25-30C, though.